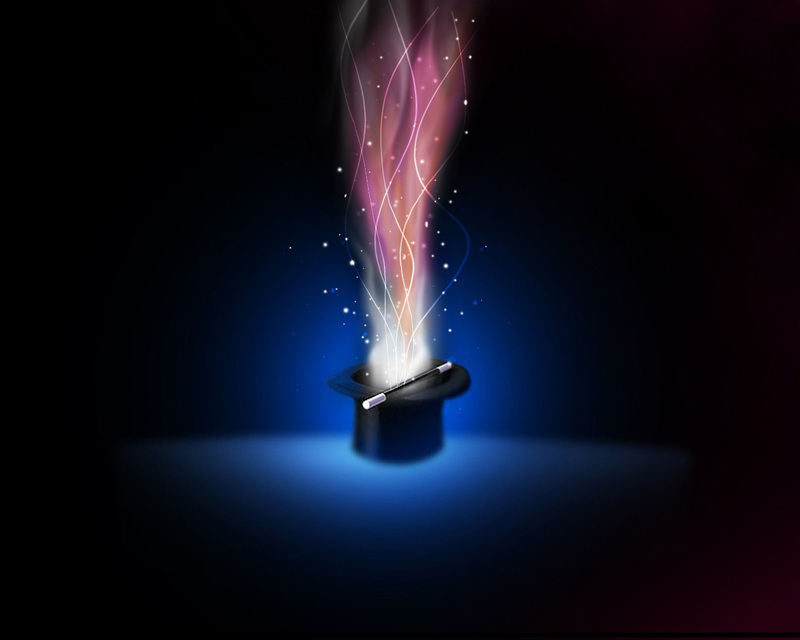 We hope you all had a wonderful Christmas and are giving you one of our favorite themes this week: magic! This could be magical powers, magical creatures, witches, faeries- as long as there is magic involved- it counts! I'm guessing that my pick for best magic book isn't going to win any points for originality. But that's okay, because the book itself is so original. And the way it's impacted our culture is undeniable. What other series has its own theme park? And, at least in my household, the names of Potterarian spells have worked their way into our everyday vernacular -- accio coffee! J.K. Rowling's world-building is art. The magic system in her novels is so rich and complex. It's not only entrancing and believable -- you want to believe it's true. And that perhaps your invitation to Hogwarts is winging its way to you as you read. When our twins were born a year ago, my husband and I were sitting in the hospital, each holding a teensy baby -- and he looked over at me and asked, "How long do you think we have to wait before reading them Harry Potter?" It doesn't get more magical than that. Before this year, I would have said my favorite magic book was Harry Potter, because who are we kidding, it's pretty amazing. 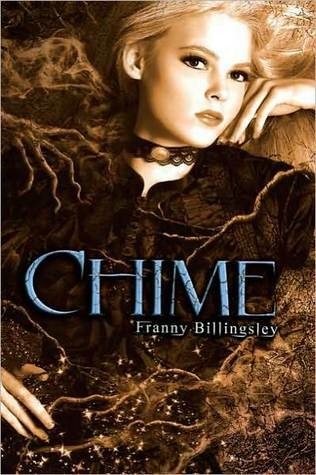 But then this year I read CHIME by Franny Billingsley. It's hard to put into just one category, because there's fantasy, mystery, romance, suspense, family drama, and more. But there is definitely magic, though it's magic in a less conventional sense. There are no wands or spells, but the world and the characters themselves are deeply steeped in magic. The main character, Briony, is a witch--and responsible for her twin sister's accident and most of her family's misfortunes. And when an engineer comes to town to drain the swamp, where Briony tells stories to the spirits of the Old Ones, Boggy Mun curses all the children of the village, including her sister, with swamp cough. It's up to Briony to make things right and save her sister. I was hooked from the first sentence, where Briony declares, "I've confessed everything, and I'd like to be hanged. Now, if you please," until the very end, when the mysteries come together. The writing is exquisite, the storytelling is brilliant, and it's unlike anything else I've read. It’s hard to pick just one magic book as the best ever. In fact, it’s impossible. There’s E. Nesbit’s Five Children and It, Diane Duane’s So You Want to Be a Wizard, Howl’s Moving Castle by Diana Wynne Jones, and many other books written by those authors and dozens more. If you can’t necessarily be best, you might as well be first; for me that would be the Chronicles of Narnia by C.S. Lewis, which always comes to mind when I think of magic and what it means to me. 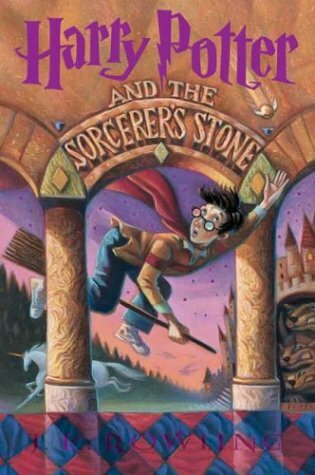 People break down into two groups: those who insist that the first book in the Chronicles is The Lion, the Witch, and the Wardrobe and those who recommend starting with The Magician’s Nephew. I’m the fellow who rearranges the books in the book store so Lion is number 1 (sorry, book sellers!). I might be dating myself, but this was how I found the series and it’s the most magical way to be introduced to Narnia. Though I love the series as a whole, and think that new readers should follow Lucy Pevensie through a wardrobe into Narnia first, The Magician’s Nephew remains my favorite of the lot. Published five years after Lion, Nephew is a prequel to the series, which is why it is now chronologically included as the first volume. It concerns the adventures of young Digory Kirke and Polly Plummer; the titular magician, Uncle Andrew; yellow and green magic rings that enable travel to other universes via pools in the “Wood between the Worlds;” and, of course, a witch. Aslan is there too, eventually, and an apple tree, and if this is starting to sound a bit familiar, it’s because this is the creation story of Narnia. To me, magic is largely about discovery, a sense of wonder, and the startling realization that the world is much bigger and more amazing than you ever thought it could be. The central image in Lion is the lamppost in the wood—something absolutely normal made magical and mysterious because it is found in an unexpected and new place. I fear that moment is stolen if you’ve read Nephew first. Consider: when Lucy encounters the lamppost in the woods, readers might say, “Oh, it’s that old thing from the previous book. I guess she’s in Narnia, then.” Worse still if they realize the significance of the wardrobe before any of the Pevensies do! As full of magic as Nephew already is, it will surprise and delight even more when an unsuspecting reader comes to it later and finally learns where that lamppost came from, how Narnia came to be, and the truth behind a supporting character they may not have given much thought to before. I think revelations like that are the real sources of magic for readers. 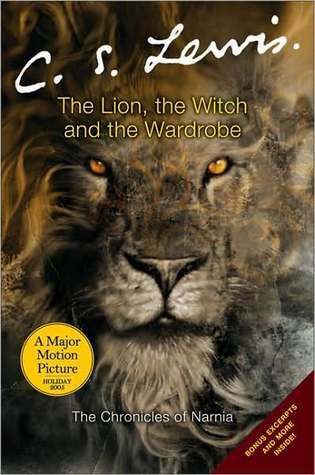 If you still haven’t read the Narnia books, please do check out The Magician’s Nephew—but not until you’ve read The Lion, the Witch, and the Wardrobe! Some people who know me may think that I would pick Harry Potter. I may well have done, except for the fact that I discovered a new book about magic recently that I absolutely adored. 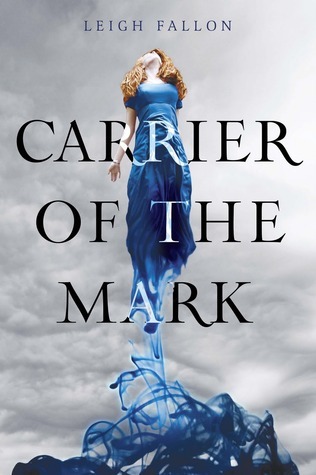 My choice is CARRIER OF THE MARK by Leigh Fallon. I received this book for review from Harper Collins a couple of weeks ago and I have to say, I fell instantly in love. The way Leigh Fallon writes, I found myself sinking into COTM and finishing it in just over a day. I found that it was glued to my hand every spare minute I had. From the first word on the first page, I was hooked. It was an absolutely, dare I say it, 'magical' journey. From the tranquil beauty of the setting in Ireland, to the wonderful characters, I loved everything about this book. This was a hard one. There are so many books with wonderful magic systems, beautifully described magic, and that seem to be magic themselves. I actually went back and forth between two books with this one, but . . . there can only be one! 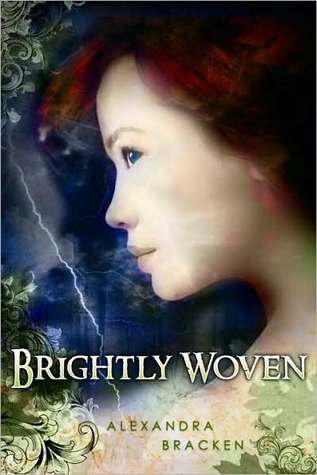 One of my favorite magic systems is in BRIGHTLY WOVEN by Alexandra Bracken. Sydelle weaves. As a fan of all things yarn, I can only encourage her weaving habits. I mean, North's magic is pretty awesome, too, but where's his loom? Right. He doesn't have one. High five, Sydelle! What is your favorite book about magic? Was it mentioned? If you would like to be part of the Best Book Ever feature- please leave a comment below with your email address! Next Week: Fairy Tale Retellings! Elizabeth - Chime was my favorite book of the year BY FAR. I love, love, loved it! I like most of the ones mentioned(haven't read Brightly Woven or Chime), but this year, my favorite one was Darker Still. I LOVED it! I loved reading about these picks and have bookmarked the post so I can add them to my list for 2012. I love magic. Wonderful picks! I'm with Tiffany, Harry Potter will always be my favourite, even though Narnia is close behind. Sadly the only book that I have read on your list is the Harry Potter one. Yes, that means I have never read The Lion, the Witch, and the Wardrobe. I should hang my head in shame. I really want to read the others though. Fun list. Thanks. Harry Potter will always be the one to beat in the magic category. I am a potterhead and proud of it! I would say if Harry Potter wasn't #1 you would need to rectify that ASAP! HP is the best!! It is amazing to think what that series has done for readers, literature and the future of literature. Just think how many new readers that series has created, making them seek out other books after reading it. Some say that it will become a classic like Jane Austen is but I think it already is. Great pick! Harry Potter!! Love it so much. I still remember when the little 9 year old girl I was babysitting kept talking to me about it all the time. I finally decided to give it a try, and was instantly hooked. I bought the first 4 books and then had to wait forever until book 5 was published. Still remember the hot sunny July day when I received my book 5, and then attending parties before books 6 and 7. So many great memories I have with Harry Potter.